A large utility and piping station in Michigan turned to W. Soule to fabricate custom piping for their facility. Usually projects like this would have been fabricated in the field leaving the project open to the variables and delays of Mother Nature. However the scale and equipment in our indoor fabrication space made W. Soule a perfect solution. The piping was fabricated at Soule Fabrication Group – our largest facility. All supplies were warehoused indoors, keeping them clean, dry and at a constant temperature. 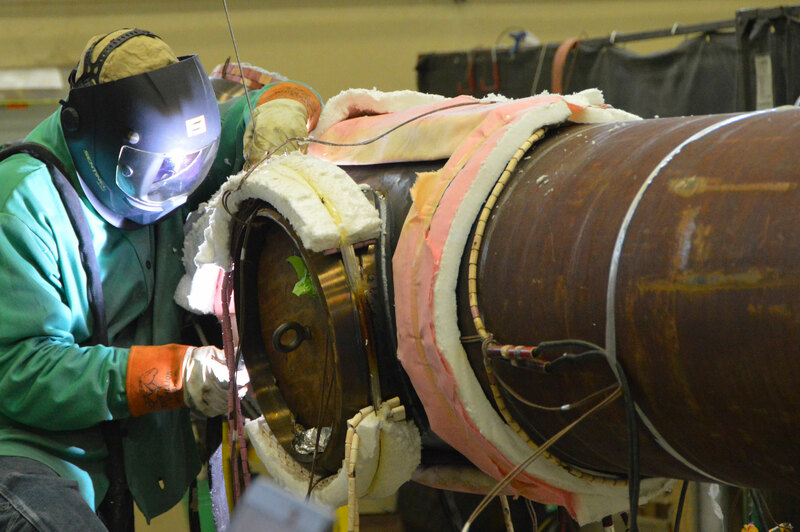 The air is a predictable 55-60 degrees without precipitation which helps standardize weld procedures. Multiple positioners make it possible to roll the majority of welds. These factors all help simplify the project, remove variables and speed it along which help to lower costs.